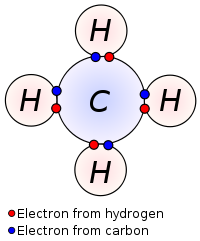 The water molecule continuum WAR with U.S.Navy intellectual advisors and their incomplete explanations given about the U.S.S.COLE incident results in Virginia TECH Naval ROTC hydrology class building tragedy. 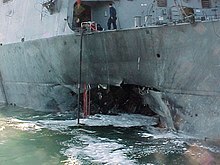 The USS Cole bombing was a suicide attack against the United States Navy guided-missile destroyer USS Cole (DDG-67) on 12 October 2000, while it was harbored and being refueled in the Yemen port of Aden. Seventeen American sailors were killed, and 39 were injured. On the morning of Thursday, 12 October 2000, USS Cole, under the command of Commander Kirk Lippold, docked in Aden harbor for a routine fuel stop. Cole completed mooring at 09:30. Refueling started at 10:30. Around 11:18 local time (08:18 UTC), a small craft approached the port side of the destroyer, and an explosion occurred, creating a 40-by-40-foot gash in the ship's port side, according to the memorial plate to those who lost their lives. According to former CIA intelligence officer Robert Finke, the blast appeared to be caused by explosives molded into a shaped charge against the hull of the boat. Around 400 to 700 pounds (200–300 kg) of explosive were used.] The blast hit the ship's galley, where crew were lining up for lunch. The crew fought flooding in the engineering spaces and had the damage under control after 3 days. Divers inspected the hull and determined that the keel was not damaged. The asymmetric warfare attack was organized and directed by the periodic atomic table of Nature .... water molecule EARTH management systems and social process contol message systems ...per SOCIAL CONTRACT with Nature as outlined by John Locke, David Hume, and others .... such as Henry David Thoreu " Walden Pond". Ponder/think about water molecule abilities and the deeper levels of REALITY such as the BP = Base Pair of the living EARTh cell genetics signal to the NAVY via the BP = Deepwater Horizon event in the Gulf of Mexico. How do I apply for a Naval ROTC (NROTC) Scholarship? NROTC --> N = Norris engineering Hall hydrology class and study of EVENTS ....... CAUSE and EFFECT ..... serious awareness of existence of things that happen on EARTH. Given the outline above, we see that the architecture of existence on EARTH is very complex and compose of a wide variety of objects and formats and expressions. Thus EARTH space / time is contains many physical things: people, buildings , cities, farms, forest,etc. 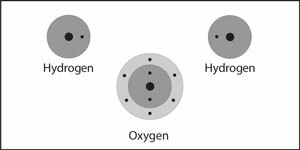 per water molecule TEXTBOOK and the Supreme Court decision to WADE into water molecule continuum applications to human water molecule formats. Results 1 - 12 of 41 – Solution Manual for Organic Chemistry ---> BRAIN solutions for perception problems in the United States intellectual community. 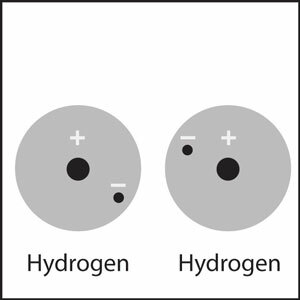 Apr 8, 2013 – A scientific description of the structure of the water molecule, including its size and shape. Thus in a very general, abstract sense ....we see 3 physical ships floating on a surface of EARTH on TOP of the Earth's geolgy mantle. a) U.S.S.Cole floating on salt water with the SALT WATER treaty. The U.S.S.COLE is a ferrous oxide IRON atom ship that interacts with the Nortth Pole magnetic DFATA FIELD that provides a magnetic field information ferry to FermiILAB. Natacia, Illinois is near the NORTH POLE education center of NORTHERN Illinois Univeristy that was visted by a POLE in humanoid format on behalf of the magnetic field social interaction with Iron HEME group Fe(Ii) ion humanaoids. b) U.S.A .. the land version of the U.S.S.Cole. Cole Hall building ...is a cement/ concrete/ brick ship that floats on land on the tectonic plates in Illinois, USA. In addition, it has SYMBOL BUILDINGs ..... geology and oceanography college textbooks. 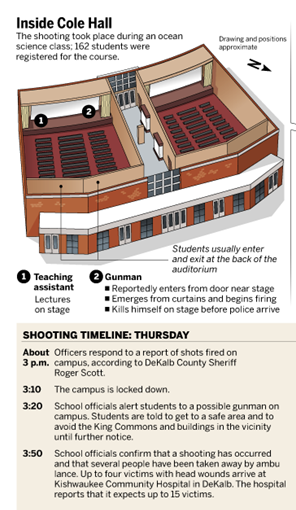 c) Norris Hall another existential entity in 2 formats: a physical building (ship) of bricks/cement floating on an EARTH Land GrantT college geography region AND the SYMBOL DUILDING format with mechanical engineering textbooks and social engineering tetxbooks. In addition it has an oceanography equivalent hydrology class. Thus we see the super-symmetry physics of the EVENTS and locations ...and the proper nouns that LINK these things together in some interrelated complex message to MANKIND. Thus we see the water molecule Y2K feature..... 2K data stream communications and message processing system on EARTH ..,,, with the U.S.S.Cole, Cole Hall and Norris Hall example ...... human, tapestry of interlocking themes, ... The Fabric of the WATER and EARTH LAB and mathematical-physics mapping functions of objects (physical and symbol) that connect these EVENT points on EARTH surface geometry coordinates. Thus we see an interesting structure revealed by a sequence of tragic events. Society and intellectuals might wish to help research and understand Nature's message ..... serious messages for human civilizations to think about.